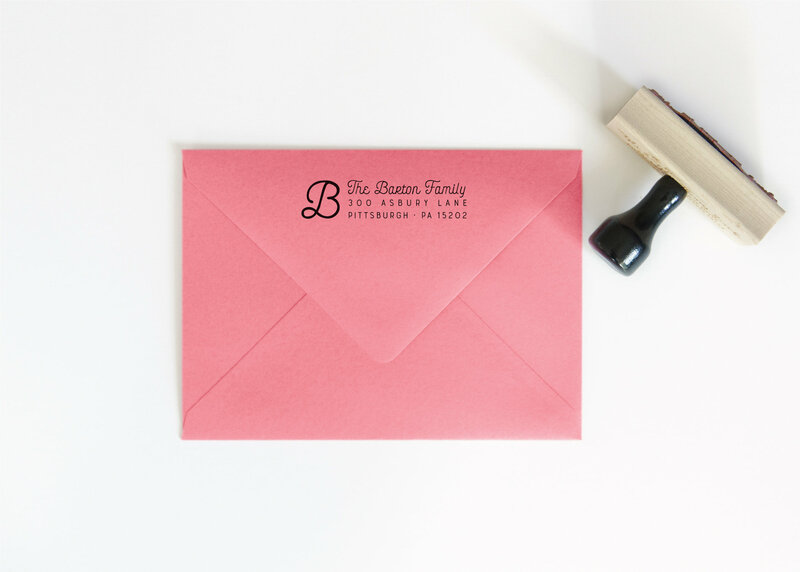 View cart “Personalized Stamp” has been added to your cart. 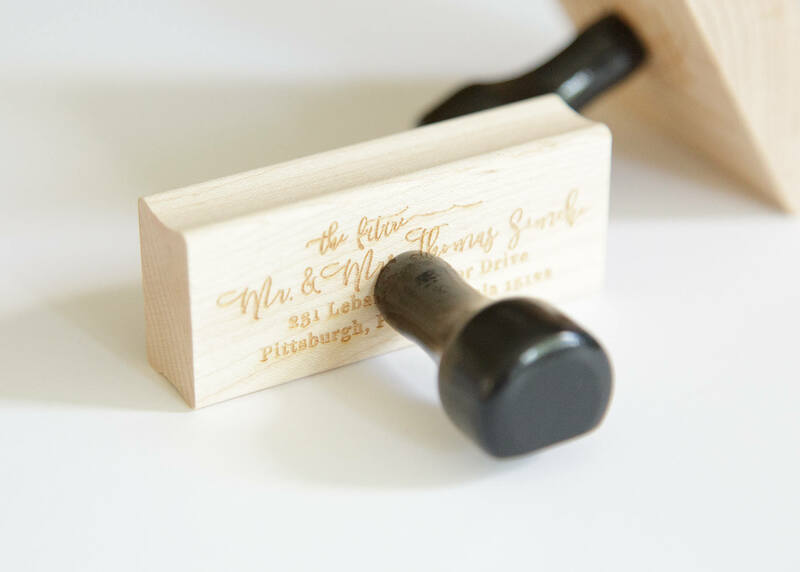 These custom stamps are not only functional, but they also add a beautiful touch to your envelopes! 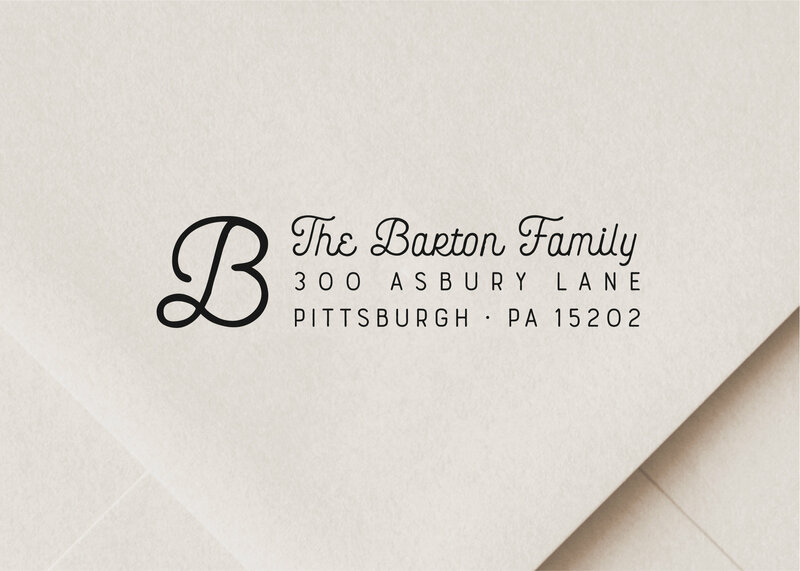 I just love how a stamped return address looks on the back flap of an envelope. 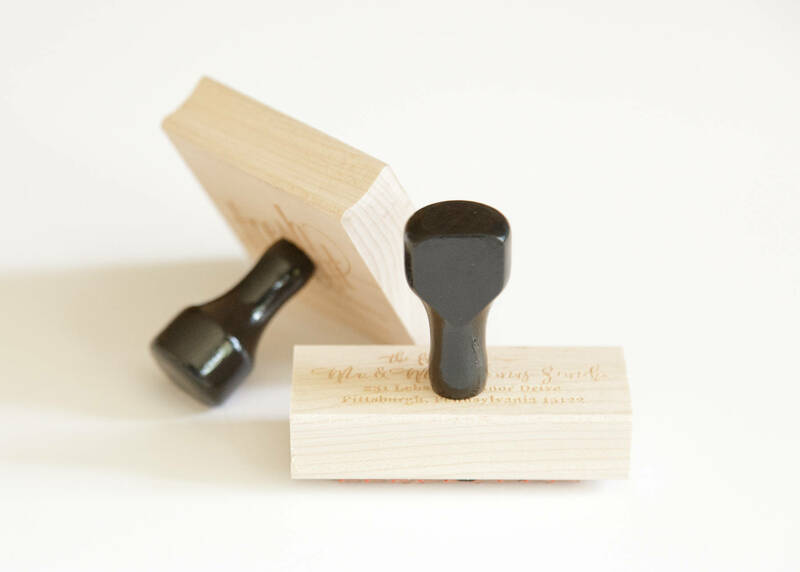 I recommend purchasing wood stamps (rather than self-inking) and using them with ink pads, as they tend to be more reliable, and also more flexible, allowing you to switch ink colors easily! Enter the desired name and address in the notes at checkout. I will contact you within 1-3 business days with a digital proof of your design. 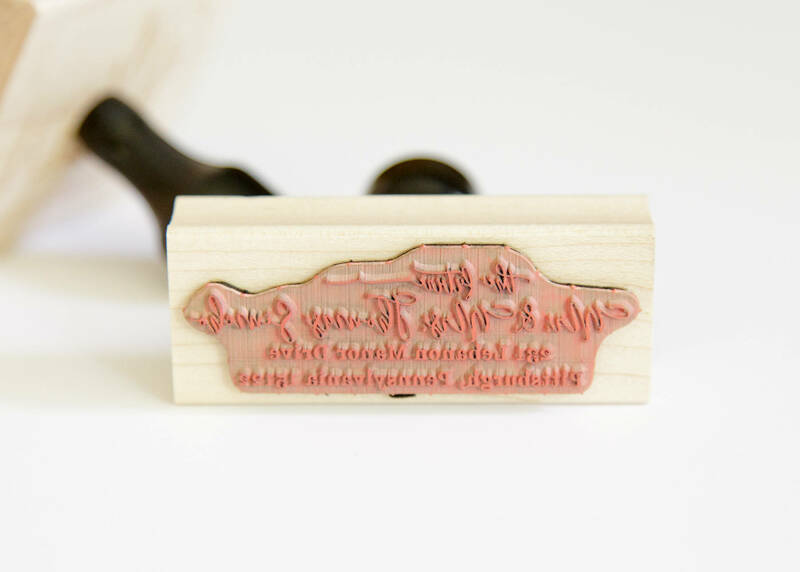 This stamp is 1"x3". Stamp previews shows an accurate size on a 5×7″ envelope.